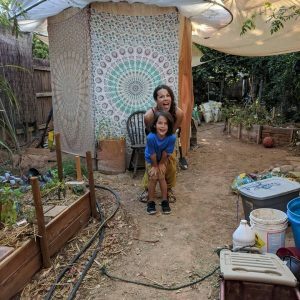 Earth Guardians Phoenix Kids Tribe - Free Spirit & Mind! Earth Guardians Phoenix Kids Tribe is designed to help children reconnect with Nature, commune with the elements & reclaim our bond with Mother Earth. Through providing education, leadership and hands on skills, the children are given the tools and self-esteem to help shape the kind of world they want to grow up in as well as the future generations. 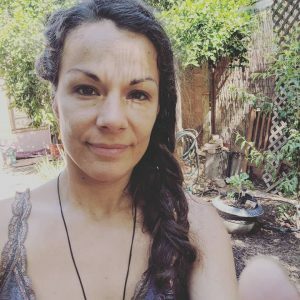 LumaraRose spends her time as an Urban Healer. Her main passion is working with Nature. In doing so, she has dedicated her time & resources in becoming an Herbal Goddess through herbalism, urban farming & gardening. In herbalism she focuses on the Native plant medicines in her region. She travels the Southwest hunting wild herbs down, harvesting them & bringing them back to her apothecary to craft usable medicines. Through her travels and experience she has developed an even deeper love and appreciation for Nature, the elements and tending to the Earth. 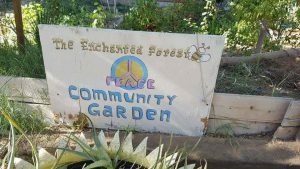 Locally, tucked away in the heart of the historical district in Phoenix she is the Space Keeper for a mini in-post Intentional CommUnity called “The Enchanted Forest”. At the Forest, LumaraRose manages the land, gardens and the residents. 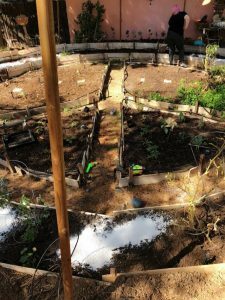 In the front of the property she hosts regular garden parties in the 400 square foot CommUnity Peace Garden (pictured below). Here, her vision is to share knowledge, practices & experience with cultivating the lands to grow food for her family, home & CommUnity. The beginning stages of amending the soils for new spring plantings 2018. As you know, children all have their own personalities and as it happens, Vance’s personality is not so fond of Nature as his mother’s. But even with these difference she spends her time sharing her passion with her kiddo. So… with many years & time thinking about how she could create a safe fun space for Vance to learn these things… she searched for an Earth Guardians near her but there wasn’t a local chapter for Vance to become part of. 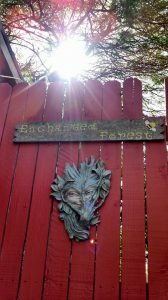 So, in 2017 LumaraRose reached out to the Colorado chapter & began working with them to become the founder of the Earth Guardians Phoenix Kids Tribe… With her being the Space keeper of The Enchanted Forest, she decided that would make the perfect headquarters for the new Tribe. And so the Journey begins… We are hoping that you will reach out to us & join our tribe. 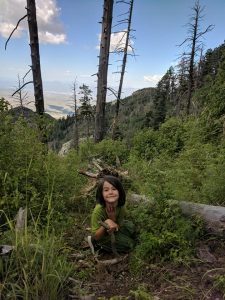 What is your kiddo interested in when it comes to Nature? Earth Guardians is an organization of dedicated youth and adult mentors from around the world. We are committed to working together to protect the Earth, water, air and atmosphere so our generation, and those to follow, inherit a healthy, just and sustainable planet. Earth Guardians is empowering a generation of young environmental and social leaders by providing education, tools and resources to become effective leaders in their communities. We inspire youth to connect with their creative passion and take it into positive action. We believe that today’s youth have a vital role in addressing our environmental and climate crisis and in creating the kind of world we want, and deserve to live in. This is evident by the rising movement of youth that is growing around the planet to protect the Earth and our Future. Earth Guardians is committed to protecting the Earth, the Water, the Air and the Atmosphere so future generations inherit a healthy, just sustainable planet! Thanks to one of our dedicated parenting wanting to decipher the images in the eye logo… we now can do that! 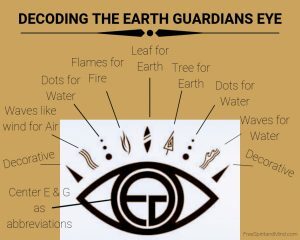 VISIT www.EarthGuardians.org and our YOUTUBE channel for Info and EG VIDEOS. http://www.youtube.com/user/earthguardiankids . We are committed to standing up for the Earth, the Water, the Air and the Atmosphere.